We proudly announce the release of our highly anticipated ROTOR power application. 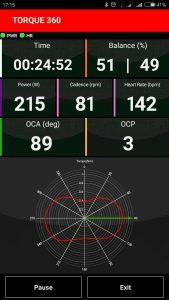 It shows 2INpower’s big data on your mobile device and allows you to analyze your performance, pedal stroke and post-process your ride. We consequently developed further our unique TORQUE 360 feature, which allows mapping crank rotation in real time. The ROTOR Power application directly gives an OCP recommendation after the ride in the ride summary. The Q-Rings setup procedure is no longer compromised, as Q-Rings users, bike shops and bike fitters can use the bike with Q-Rings mounted on directly on the street. Being on his personal setup in familiar environment during a ride will result in a spot-on OCP setup. Track your ride with our three main App functions – RIDE, BASIC TRAINING MODE and TORQUE 360 mode, the later two known from our ROTOR power meter user software. 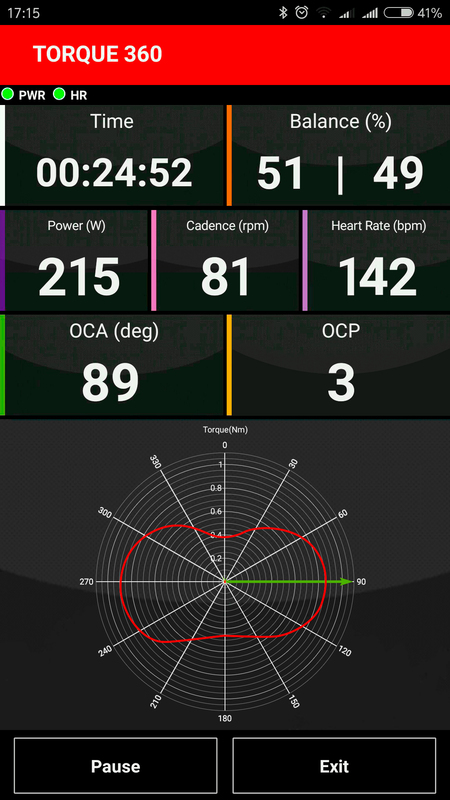 Show your power meter, heart rate monitor and GPS data in real time on your mobile device screen. The multiple data screens can be modified by the user. At the end of your ride, record your data as a .fit file in order to export for further analysis. Display real time performance data in a timeline to structure your training and plan your intervals. See directly how efficient and balanced you are riding. Show your pedal stroke in real time thanks to 2INpower’s strain gauges and accelerometer. Analyse directly your pedal stroke with known parameters such as torque efficiency and pedal smoothness. Being on your bike out on the road will show your natural OCA value where you are applying your maximum force on the pedal. Q-Rings take advantage of this point and our application is giving a spot-on OCP value for easy Q-Rings orientation. 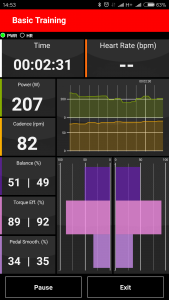 In addition you can setup and mange your profile in the SERVICE MODE, which also pairs the ROTOR power App to your power meter and heart rate monitor or which set ups your user language. Manage your rides and training summaries in the HISTORY function. The ROTOR 2INpower App creates a folder called ROTOR Power on your mobile device from where you can also export your rides, which are stored as .fit and .csv files. 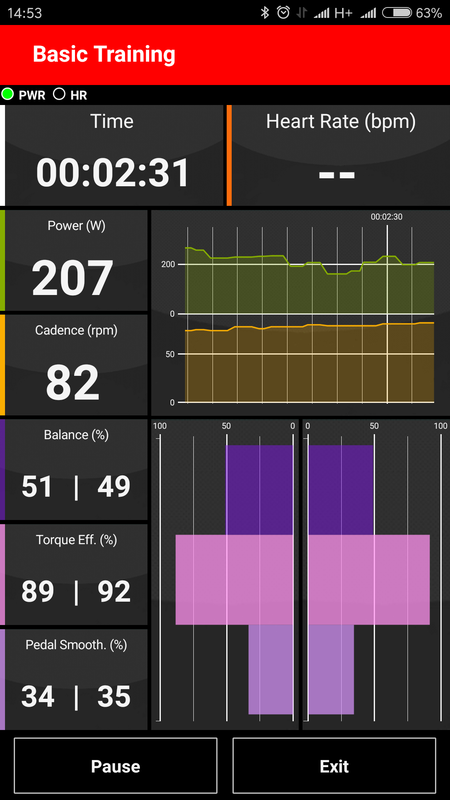 Can you make a data app for Garmin Edge , Hammerhed Karoo , witch works better than the standard power apps on the devices ?? Nosotros desde ROTOR recomendamos usar la posición OCP3, la mayoría de los usuarios se queda en esta y no hace falta cambiarla si la pedalada es cómoda. En la posición OCP1 aplicarlas fuerza total antes, digamos más arriba. Las OCP1 y OCP5 son posiciones muy extremas. Siempre se puede probar pero yo te recomendaría usar la OCP3. Puedes probar las posiciones OCP2 en plato pequeño, como la postura escalando normalmente es aplicando la fuerza más arriba. Un saludo!! gracias. figured it out … but really, I recommend making this process clear in the documentation. The help docs make it sound like there’s an export option *IN* the app (which would be ideal). I am using 2inpower with the proper app on my smartphone, can I use another bike with another 2inpower with the same smartphone app? Or better, can I use two bikes with two different 2inpowers using only one smartphone with 2inpower app? Thanks, It is means that the 2inpower app can memorize just one 2inpower code per time, correct? Is there anyway of uploading a previous workout onto this app? As i forgot to switch on the app while riding, but did have my garmin edge siwtched on to capture the ride. Hi wufwuf, once you click on the “start” button, your training is already recording which you can download the file connecting your Android or iOS device to your computer. For iOS devices, you must go into iTunes and click on the ROTOR app icon to access to the recorded files. Our best wishes for a happy new year.